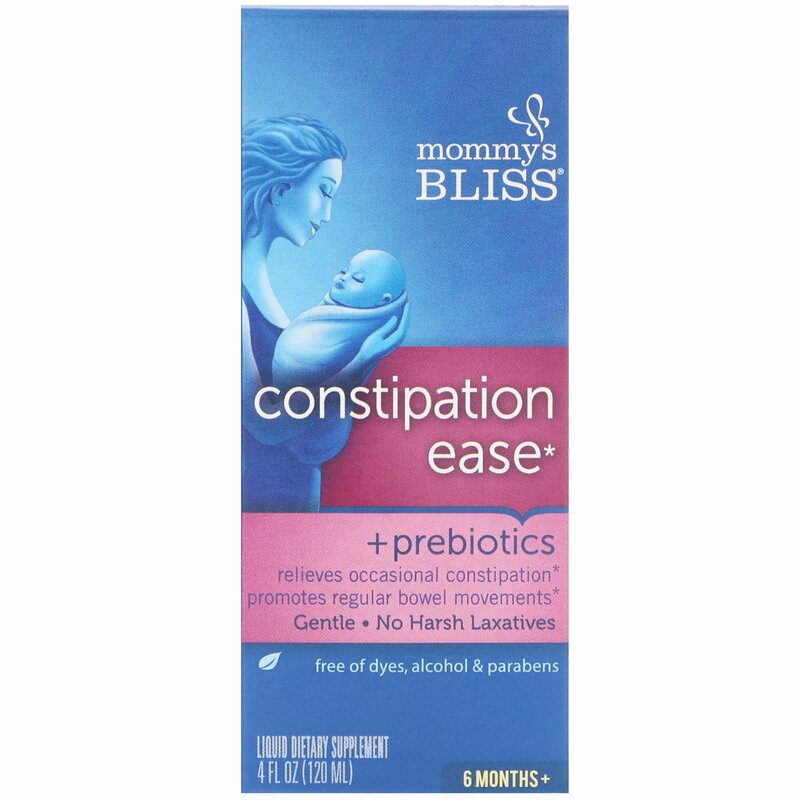 Mommy's Bliss Baby Constipation is a safe and effective liquid herbal supplement used to promote regular bowel movements and ease occasional constipation. All Packaging is free of BPA, PVC's and Phthalates. 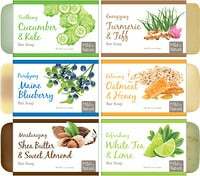 Our family-run company was founded by our own mom, who raised three children while working as a registered nurse, lactation consultant and certified nurse midwife. Driven by compassion, she created Mommy's Bliss to safety and naturally bring families back to wellness. Shake well. Sediment is normal. 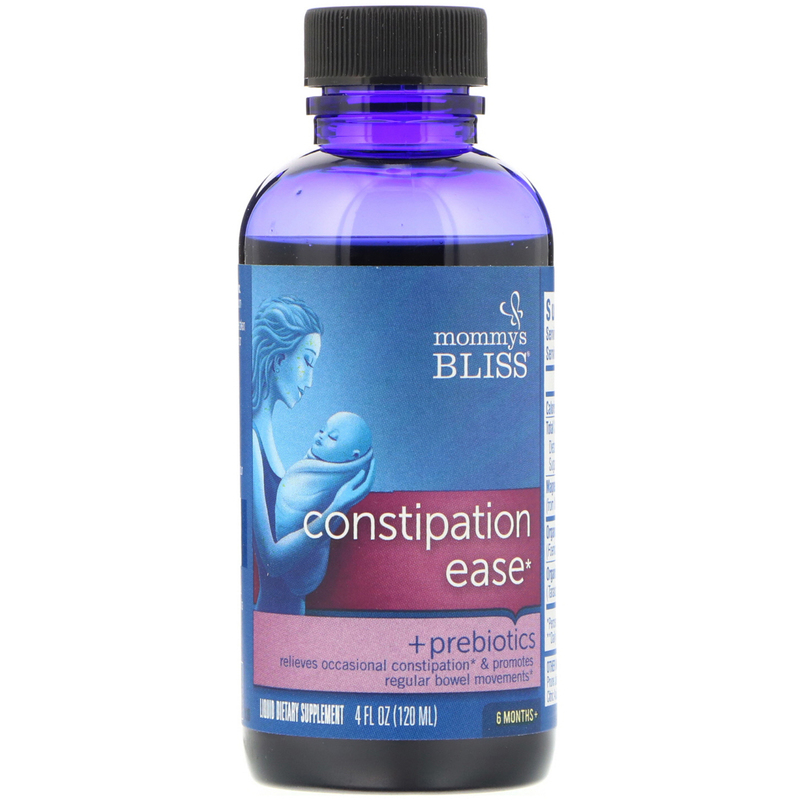 May be taken up to 2 times daily until bowel movements are regular or improved. Discard 6 weeks after opening. Deionized water, vegetable glycerin, prune juice concentrate, polydextrose (a prebiotic soluble fiber), citric acid, and potassium sorbate. Tamper evident: This product has a safety seal for your protection. Do not use if seal is broken or missing. Caution: A semifluid or watery stool may be expected. Consult your physician before giving this to a child that is taking medication or has a medical condition. Keep out of reach of children. Do not exceed recommended number of servings. Since infants have immature immune systems, a possibility exists that an infant may have an allergic reaction. 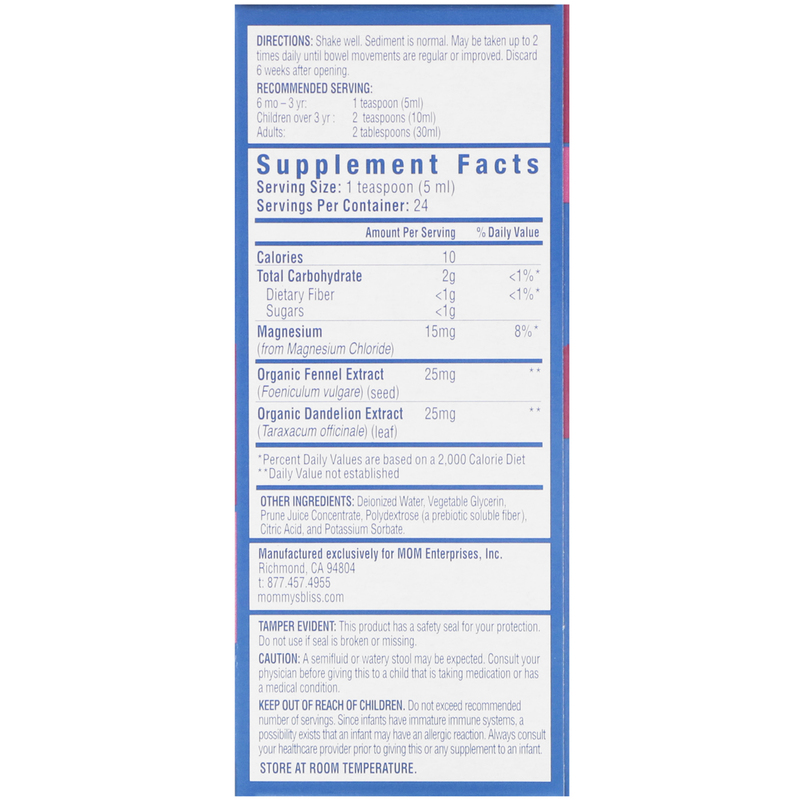 Always consult your healthcare provider prior to giving this or any supplement to an infant. Storage: Store at room temperature, out of direct sunlight.